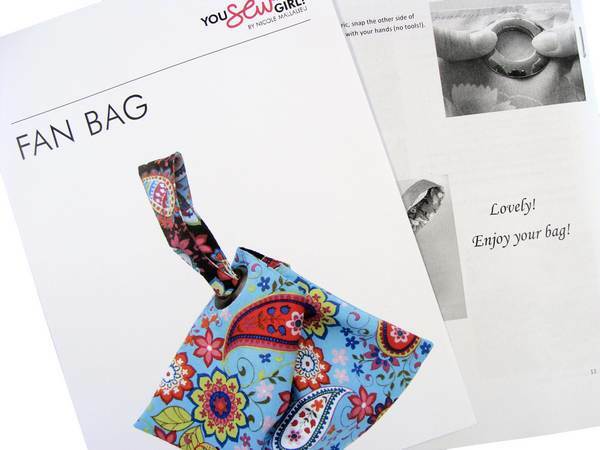 With lots of tips on the basics of bag making and sewing. 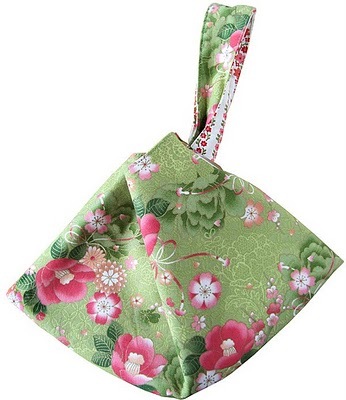 This Japanese-style bag is quick to make for any "small hands-free bag event". 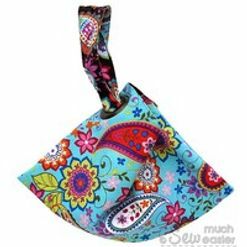 It's fully reversible and can be made with or without a boxed corner base. 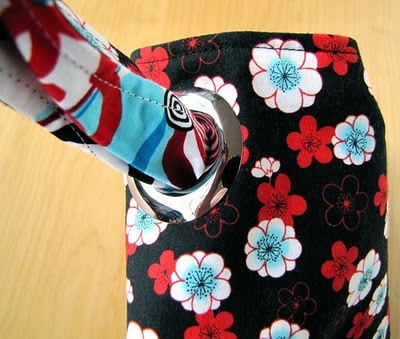 The strap threads through a plastic grommet to close the bag and make the handle. 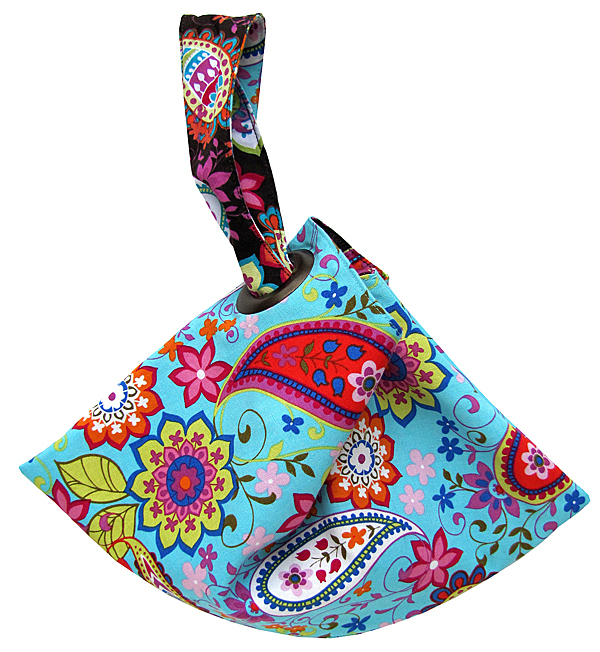 Pattern includes 1 x 48mm grommet. 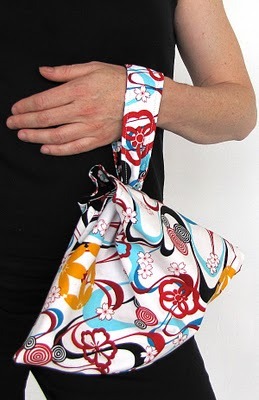 You can make this little wristlet purse in next to no time. 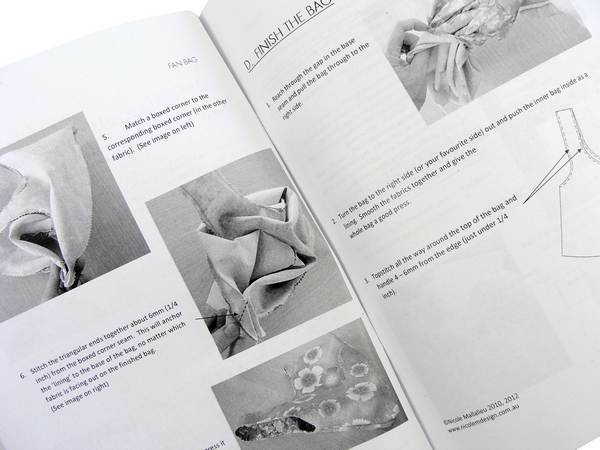 It's a great one to whip up for a night out (and it also makes really distinctive and special gift wrapping!). 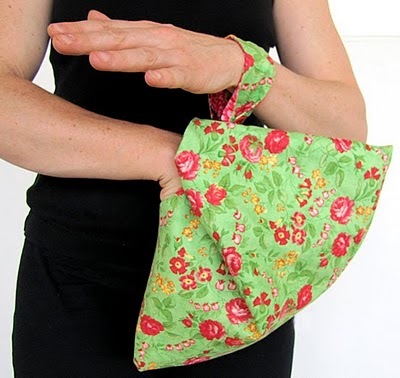 Perfect for you to learn all the basics of bag-making with this simple, clever design. 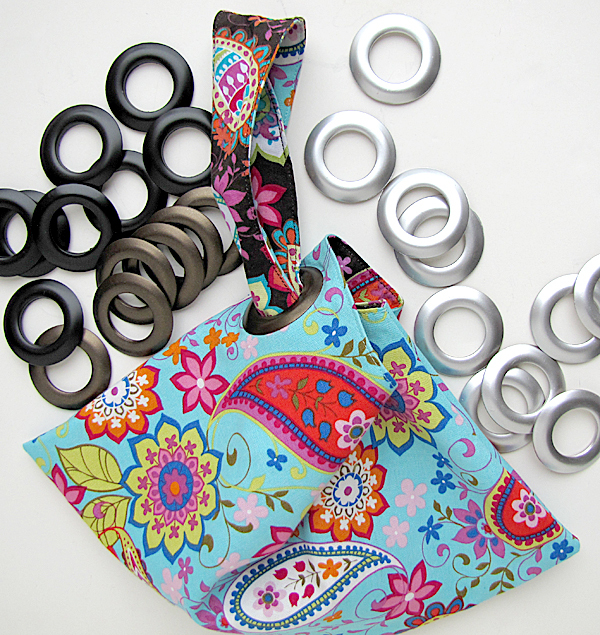 Learn to make straps, lingins and use simple bag fittings. 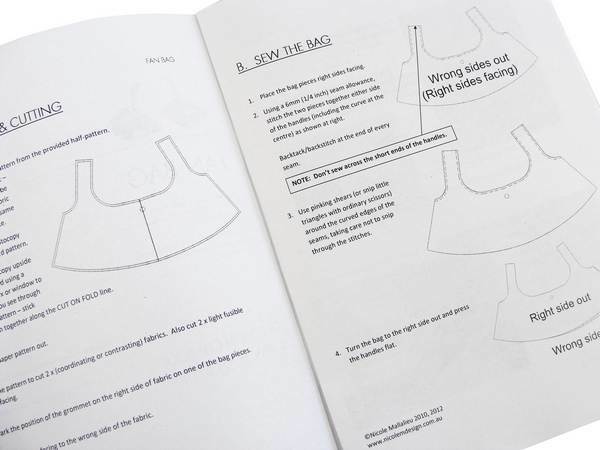 This pattern is simple enough for beginners learning to sew. 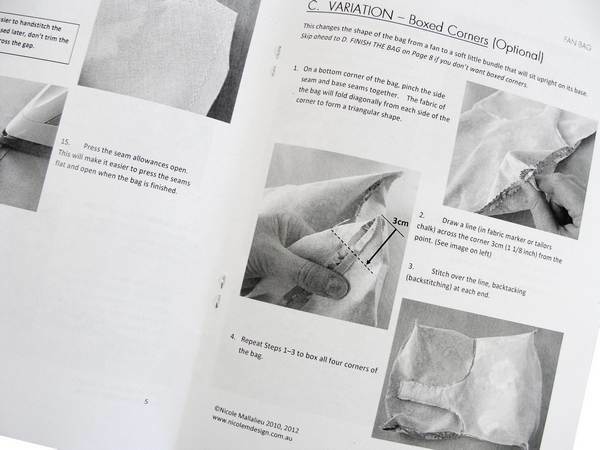 Learn all the basics of bag-making with this simple, cleaver design. 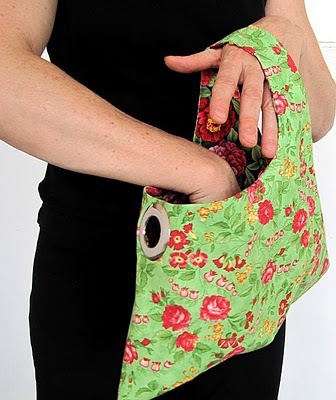 This is an ideal pattern for the absolute beginner with lots of tips on the basics of bag making and sewing. 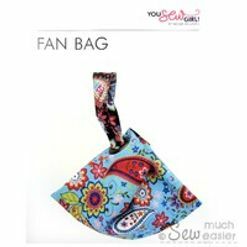 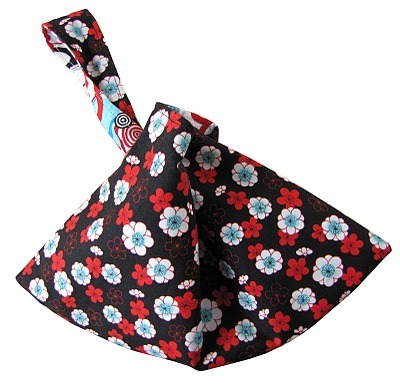 It's fully reversible and can be made with a boxed corner base or as a flat "fan" shape. 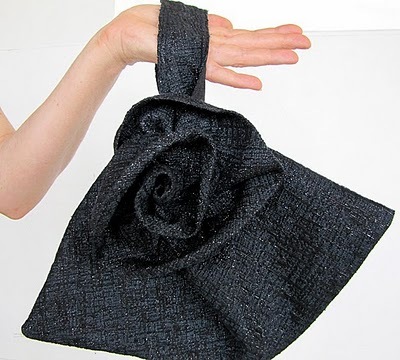 You can make this little wristlet purse in next to no time - so whip one up for you next night out! 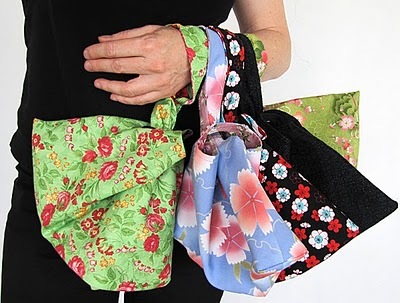 This Japanese-style bag is so quick to make for any "small hands-free bag event" - why not make one for each member of your family? 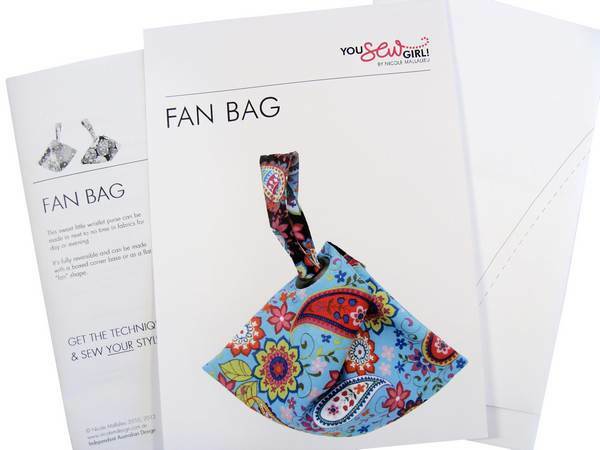 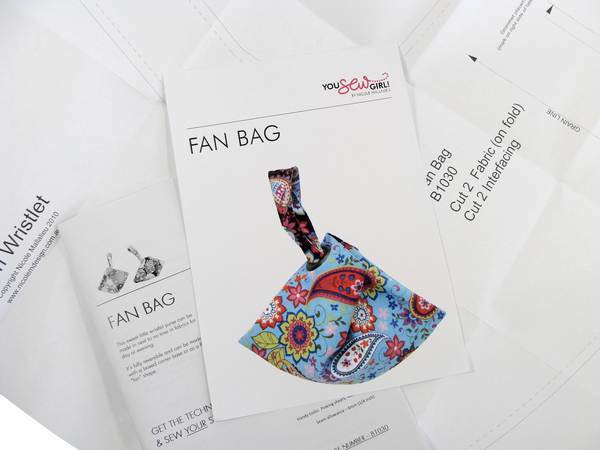 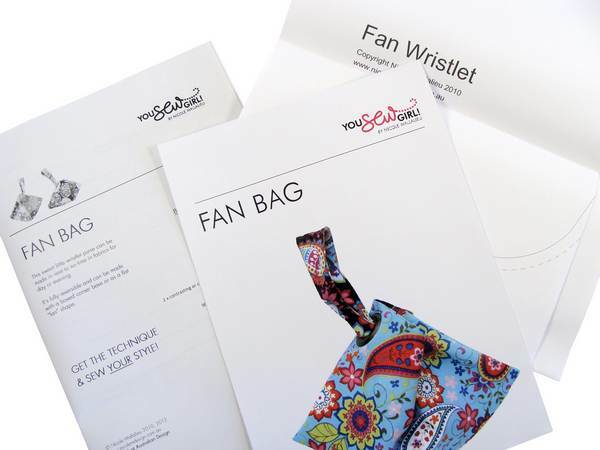 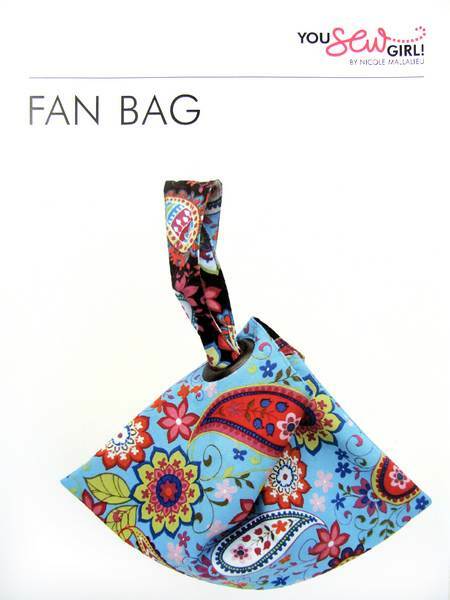 Your very own Plastic Grommet to complete your first Fan Bag! 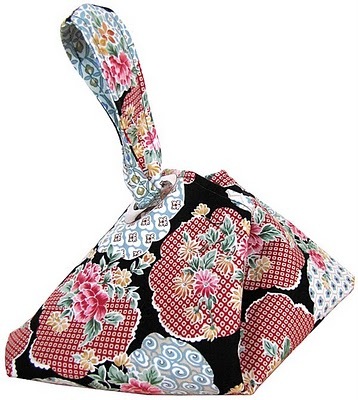 *Note: ONE grommet included with your pattern. 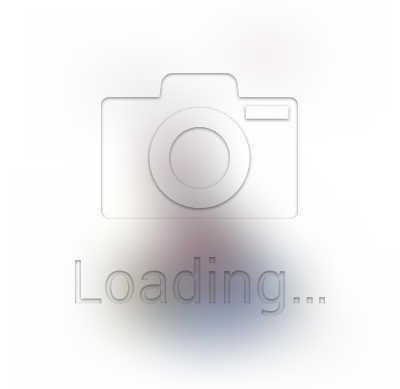 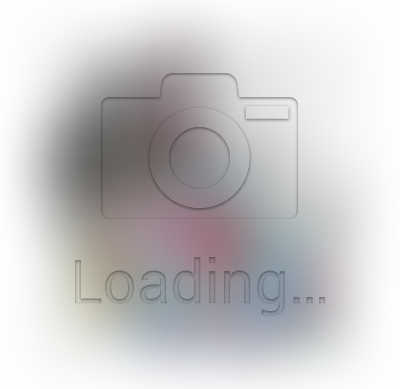 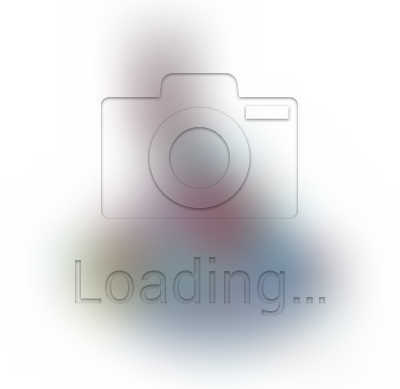 Random colour. 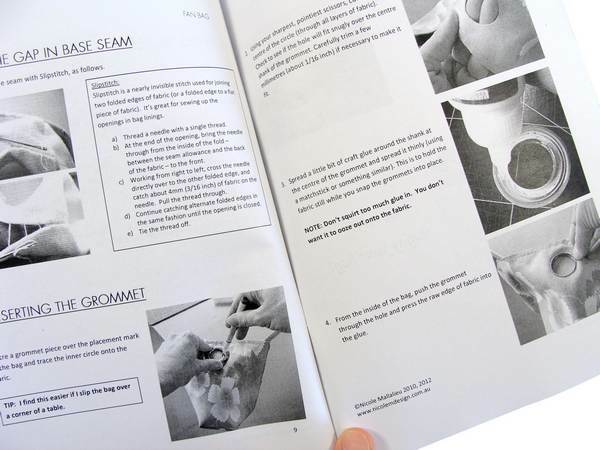 the handle feeds into a plastic grommet. 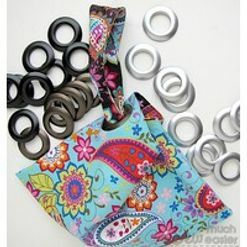 And a free grommet comes with your pattern. The colour you get will be a surprise - at random. 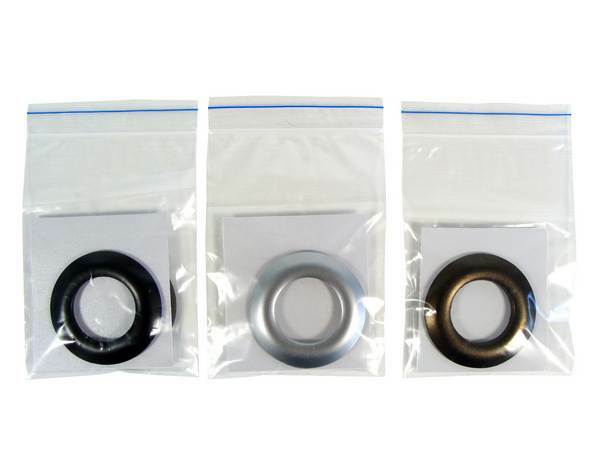 Sorry, we are UNABLE to accomodate colour choices because the patterns come to us already packed up with your grommet already chosen & sealed inside.